Print DOC, PDF, XLS, TIFF files in one go. Total PDF Printer Pro takes the pain out of printing multiple documents. It is loaded with many customizable options to fit every need. All files are different. To get the perfect results select the smart scaling mode and auto orientation. 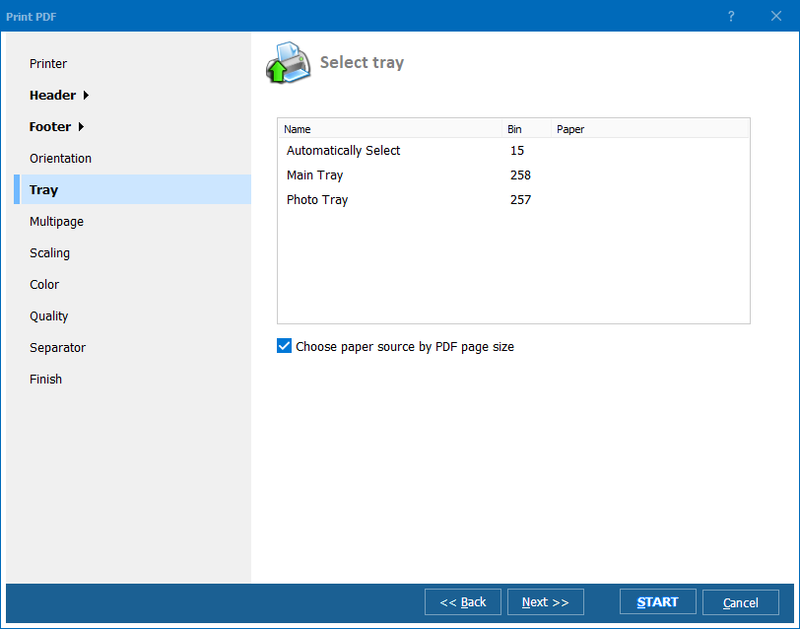 If you have several trays, the app will send each file to the appropriate tray. 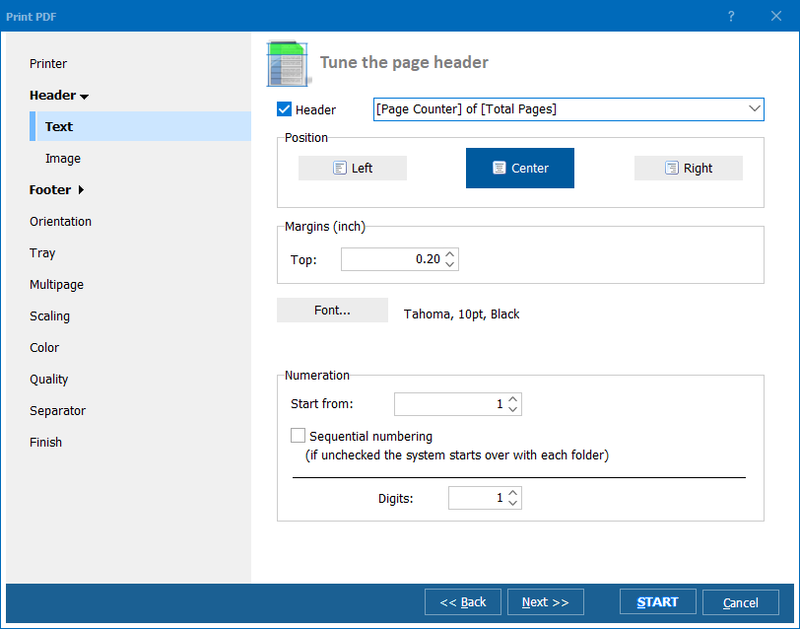 With Total PDF Printer Pro you can add page counters or stamp bates. Save your ink with our printing modes from high resolution to draft. When printing many files you'd want to get an easy way to know when one document finishes and the other one starts. To divide the documents, use Separator sheet option. The program will add a blank page or your custom page at the end of each file. Forget about pressing Print button again and again Total PDF Printer Pro will automate your routine printing tasks. 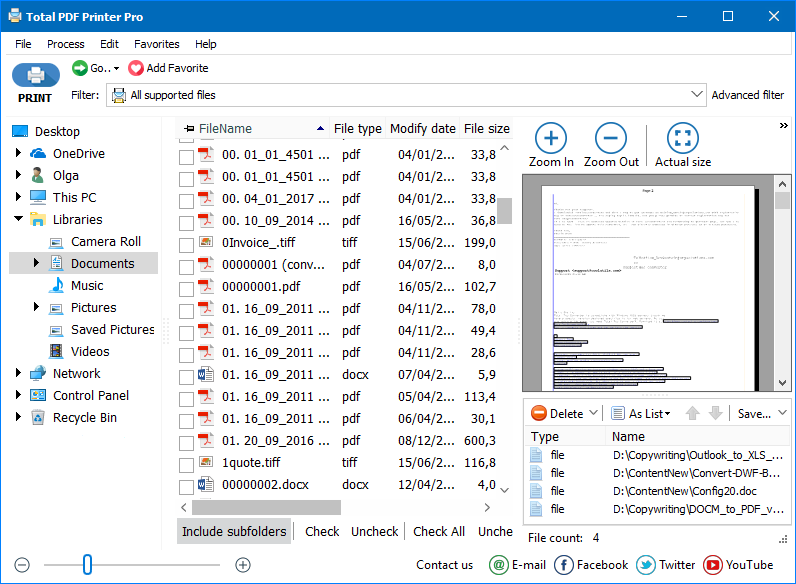 Put all the files in one list and print them in one go! Download your free evaluation copy now. 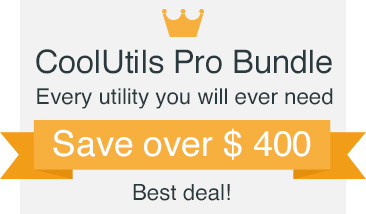 "Thank you for your inquiry about our usage of TotalPDFPrinterPro. I use it to print a full folder of system generated .pdf files. A software vendor I suggest this program. The software we use for our business generates monthly statements in pdf format and exports them to a file. I found it too cumbersome to print a few at a time. Your app allows me to do it all at once. A big time saver." "Your Total PDF Printer tool works really and over all I'm very pleased, my only thought would be the ability to pass parms in the text file so we could have that same flexibility in a batch file. Hope this helps."